The social justice campaign aims to raise awareness of the women affected by Boko Haram, Nigeria's militant Islamic extremist group. 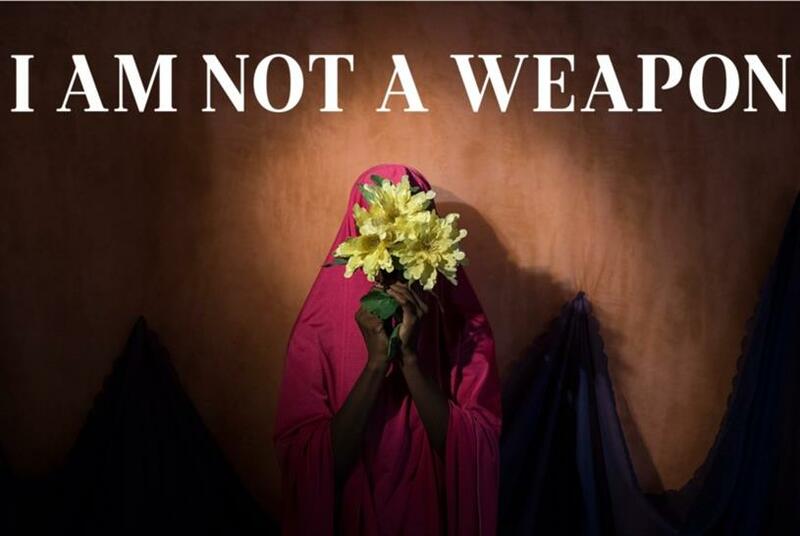 "I am not a weapon." This is the message behind a new social justice campaign that debuted today to raise awareness of the young women in Northeastern Nigeria who are affected by Boko Haram, the country’s militant Islamic extremist group. The campaign includes powerful video interviews and photographs of female survivors – all housed on a digital platform – with the aim of inspiring aid, action and support. Academy Award-winning director Kathryn Bigelow and Smuggler founder Patrick Milling-Smith led the effort, which launched to coincide with International Day of the Girl. Journalist Dionne Searcey collaborated with Bigelow on capturing and directing the footage, while Adam Ferguson handled photography. According to UNICEF, Boko Haram has kidnapped more than 1,000 children in northeastern Nigeria since 2013. Austin-based agency Preacher worked on branding and design and helped create the platforms in which the film and photography content live. Preacher and Bigelow also collaborated to bring in the International Rescue Committee as a partner to help amplify the messaging and drive donations to survivors and at-risk women throughout the world. The content is available to view at iamnotaweapon.com, as well as on Instagram at @iamnotaweapon.